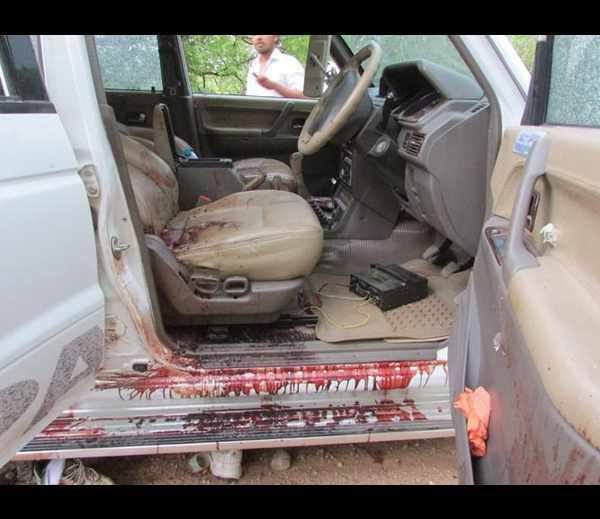 A bloodied car that bore witness to the pin-point killings of several Congress leaders in Chhattisgarh on Saturday. Saturday evening’s ambush by a posse of armed Naxal militants was one of the biggest in Chhattisgarh. It claimed 24 lives, including those of top state Congress leaders, and left a trail of unanswered questions. And most of them pretty probing for the administration – primarily at the state level but at the central level as well. Why was there inadequate security with the Congress party travelling in Naxal-infested areas? Why did the administration allow the Congress team to travel in the area? Was the state government aware of the Congress meeting, and travel plans in Dantewara region? Was there any intelligence report about an impending attack? If yes or no, who goofed up – intelligence sleuths at the state level or those at gthe central level? Interesting to note is the fact that Darbha valley starts after Kanger valley, and from Darbha to Jeram the valley stretches for 27 km. This whole area is highly vulnerable, and is the place where the Naxal ambush took place on Saturday evening. While a complete failure of the government machinery cannot be ruled out, it is a sad day for the state and the government, which has no answers on the security failure. What is also worth noting is that over a dozen top Congress leaders – including former Chhattisgarh chief minister Ajit Jogi, former home minister Nand Kumar Patel, former commerce and industries minister Mahendra Karma, former union minister Vidya Charan Shukla, former MLAs and senior party leaders – were part of the parivartan rally, sponsored by the party to drum up support in the state ahead of the assembly elections due by early next year. But they were accompanied by only a handful of personal security guards. Interestingly, Mahendra Karma, who founded the anti-Maoist Salwa Judum militia, came under Z-category security, though there are still no reports on where his security guards were when the Maoist assault took place, and Karma was gunned down. Nand Kumar Patel, the former home minister and the state Congress chief since April 2011, was also not accompanied by proper security. He, too, was identified by the Naxals and killed, along with his son Dinesh. With the state headed for polls in a few months, this incident has definitely put the ruling BJP on the backfoot. On his ‘vikas yatra’ when the ambush took place, chief minister Raman Singh immediately cut short his tour and rushed to Raipur to take stock of the situation. While Karma knew he was in danger zone and that life was not easy for him, his fear came true on May 25. According to witnesses, Karma was heard shouting, “Don’t kill, don’t kill," when he was identified and dragged aside – to be shot dead. “He lived like a ferocious tiger and died like one,” former chief minister Ajit Jogi said. With over a dozen family members, including elder brother PR Karma, killed by Maoists in the last 12 years, Karma had no love lost for the insurgents. In interviews earlier, Karma, a CPI MLA from Dantewara who later joined the Congress to become a state minister between 2000 and 2004 and a leader of opposition from 2004 to 2009, had made his intentions clear: he said he will never bow to the pressure of Naxals. And after a miraculous escape from a Naxal blast last year he vowed to fight till his death. Karma, who was also an MP from Bastar on an independent ticket, had told this correspondent last year that the future of Bastar is dark and had almost foreseen an attack like Saturday’s. “I don't see any indication of things improving because the Maoists are active on two fronts – violence and public contact,” he had said. Accused by most sections of the media for championing and spearheading the Salwa Judum, a local tribal armed militia that fought the Maoists in Chhattisgarh earlier, Karma also mourned the demise of his movement. “If I have indulged in violence, why is it that the Naxals, or their people, have not filed a single FIR against me?” Karma had asked in an interview. “Salwa Judum had arisen at the local level against the political terrorism of the Naxals. The disintegration of this movement is thus very sad." He also claimed the Salwa Judum had been blamed wrongly for causing wide-scale displacement of tribals and for many alleged atrocities. A former leader of the opposition in Chhattisgarh assembly, Karma lost his seat as an MLA in the last election and has maintained a low profile since the Judum declined in influence in tribal Chhattisgarh. Who was Nand Kumar Patel? A leader from Kharsia, Patel made it big in politics when he was made the home minister in 2000 after the formation of Chhattisgarh. The number two leader in Ajit Jogi’s government, Patel won the Kharsia assembly five times in a row. The state Congress chief from April 15, 2011 till his death on May 25, Patel was a-soft spoken man who realised the threats to his life due to his policies as the state home minister. “Naxals asked ‘where is Nand Kumar?’ (during the ambush),” said Congress MLA Kawasi Lakma, who was in the Congress party that came under attack and was injured. He added that the militants took Patel and his son and killed them later – their bloodied bodies were found on Sunday morning. While Congress president Sonia Gandhi, prime minister Manhoman Singh, and party vice-president Rahul Gandhi rushed to state capital Raipur on Sunday morning to meet the injured and pay homage to the deceased, the BJP government in the state, slightly comatose since the bloody incident, has strongly condemned the ambush and ordered an inquiry. Political experts meanwhile said the incident will have a long-term impact and has the potential to upset the applecart in the forthcoming assembly elections. 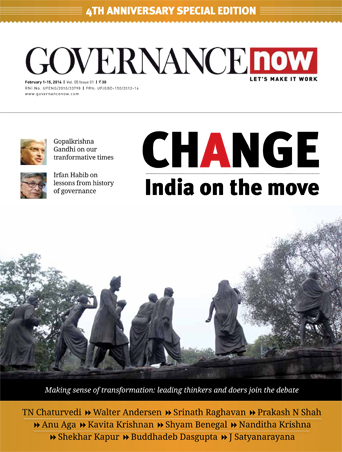 The Raman Singh government, which was till date confident of winning another term, will have to rethink the BJP strategy for the polls as the incident has exposed the state machinery's failure and triggered a volley of uncomfortable questions. 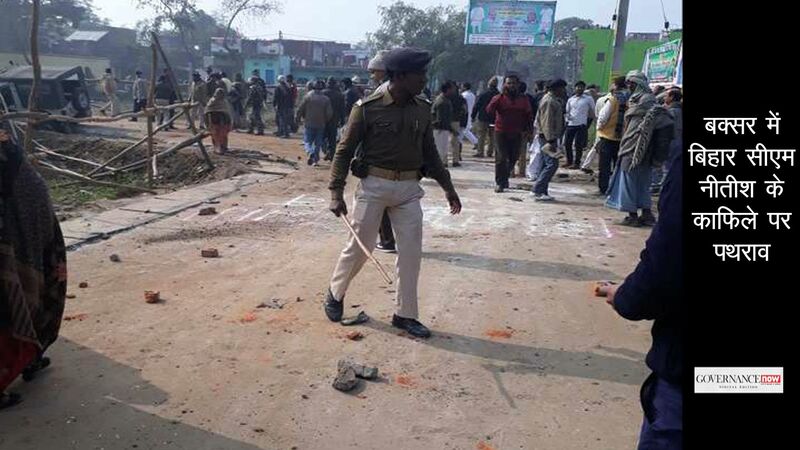 November 8, 2012: Mahendra Karma's convoy attacked. While his security personnel sustained minor injuries Karma escaped unhurt. March 4, 2011: Karma's relative and Congress leader Rajkumar Tamo injured in attack at Kumhaaras. He survived another attack days later – on March 13. November 13, 2008: Karma supporter and Congress block president Trinath Thakur killed by Maoists. A dozen sarpanch and panches lost their lives in similar attacks. November 9, 2009: BJP district vice-president Ramesh Thakur and an advocate named Suryaprakash Chouhan killed during Lok Sabha polls at Katekalyan block. Janpad president Munnaram Markam was attacked and his younger brother killed. July 7, 2010: Congress leader Avdesh Goutam managed to escape a bid on life but two security personnel outside his house were killed and his son and another person sustained injuries.